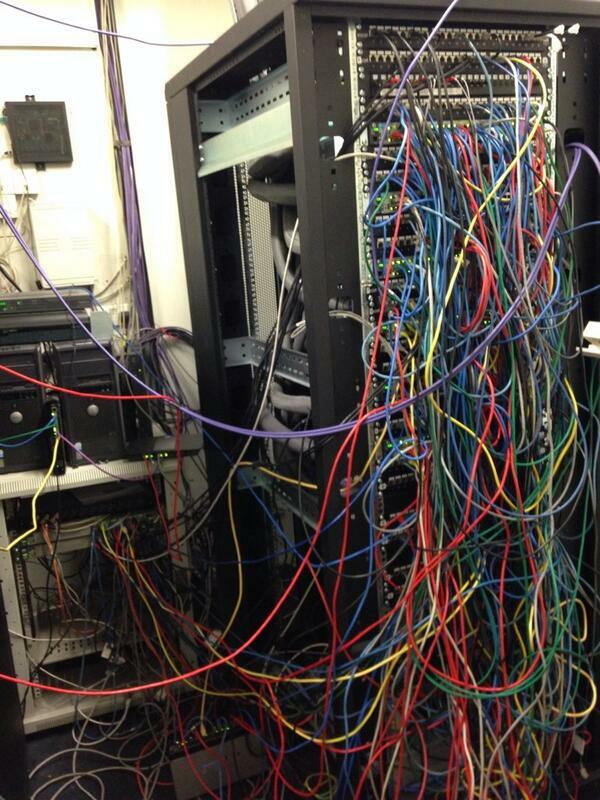 We have recently been involved in various installations where the previous installation teams felt that maybe it was not their responsibility to tidy up their cabling installation. This photo is from a colleague who works in London. 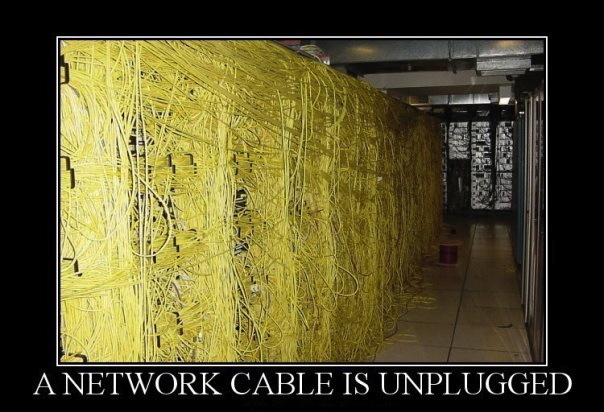 He was contracted to install an additional network cable for his client. I believe that the process although one would seem to think is quick ended up taking longer than expected due to the sorting required to get through all the mess left by the previous installer. Due to Mirror Edge Networks specialising in High Definition video distribution, the systems racks that we build house the network distributions for our projects too. Its always best to have the distance between your network router and your Apple TV’s, Media Servers and other devices that access the internet as short as possible. 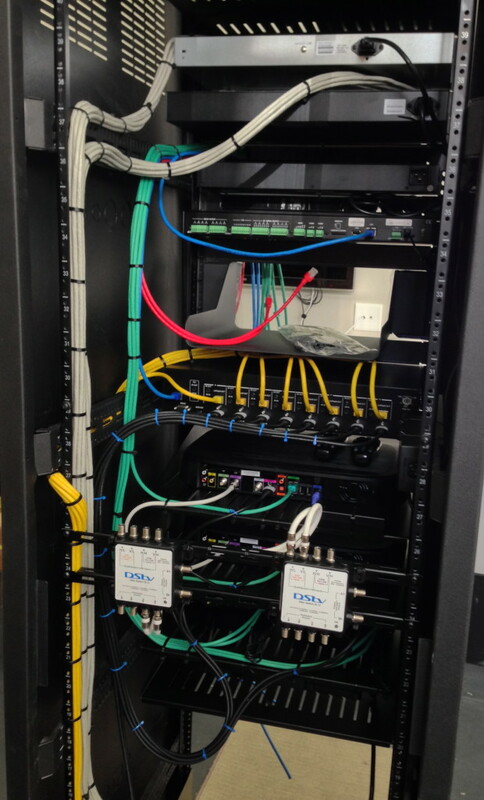 This is a picture of the rack which we have most recently installed. All fixed network points, wifi access points and high definition video is hard wired back to the rack where they are patched into their correct devices; network switches, video matrix or wifi management switches. Our rack builds have patch panels at the bottom of the rack to ensure that the rack can be built offsite while the cabling installation is taking place. 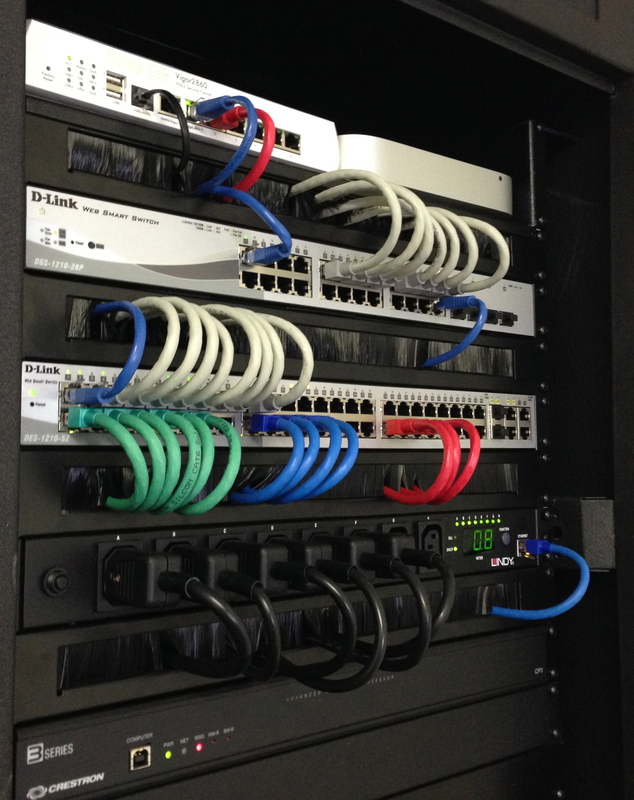 Once both processes are completed, the rack can be delivered to site, patched in and tested. Rack Patched In. Testing in the workshop. 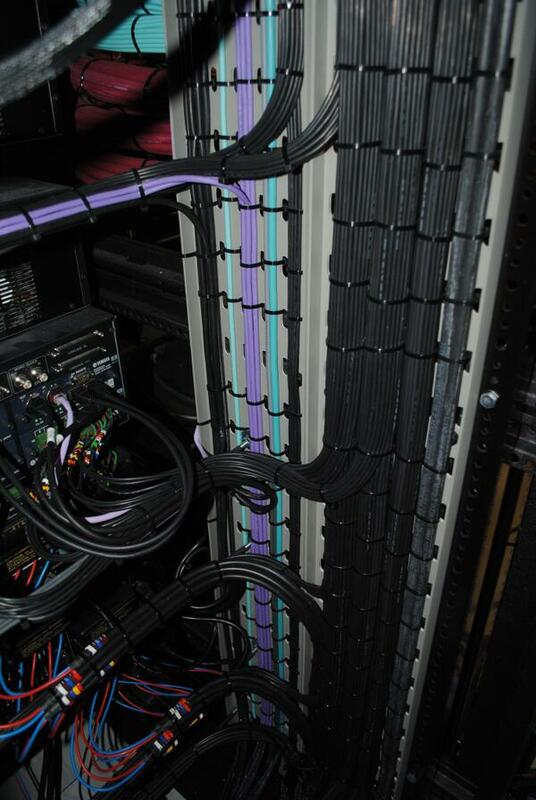 The cabling installation is then brought down from the ceiling to the rack and patched into the back of the rack. While these are not photos from our most recent installation, this is the type of work that takes place to ensure a neat and tidy cabling installations. It helps with troubleshooting, future upgrades and confidence that the client is happy with a professionally installed audio video system.